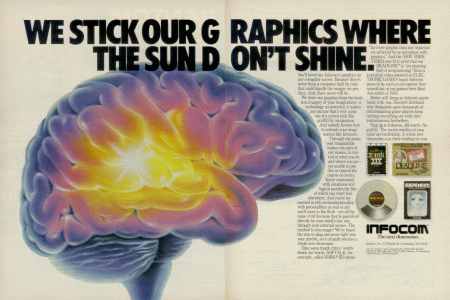 Infocom's "brain" advert, scanned in as a thumbnail image (450x300), in GIF format. 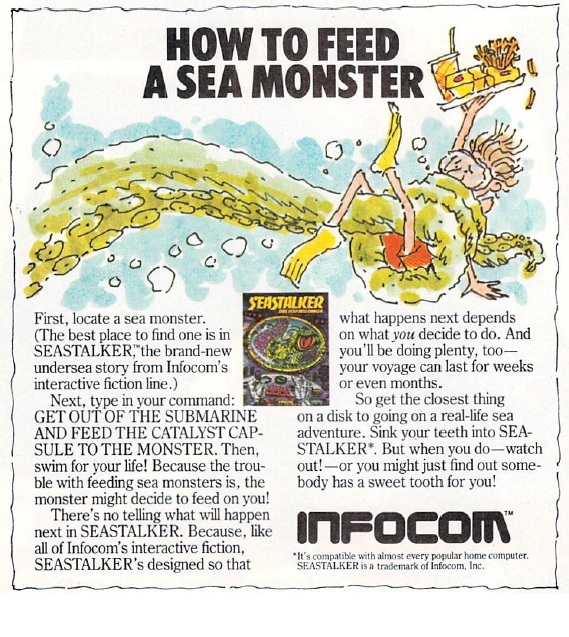 Infocom's "brain" advert, scanned in as a thumbnail image (450x300), in JPEG format. Infocom's "brain" advert, scanned in as a thumbnail image (450x300), in PNG format. Infocom's "brain" advert, scanned in as a full-sized image (1638x1095), in GIF format. Infocom's "brain" advert, scanned in as a full-sized image (1638x1095), in JPEG format. 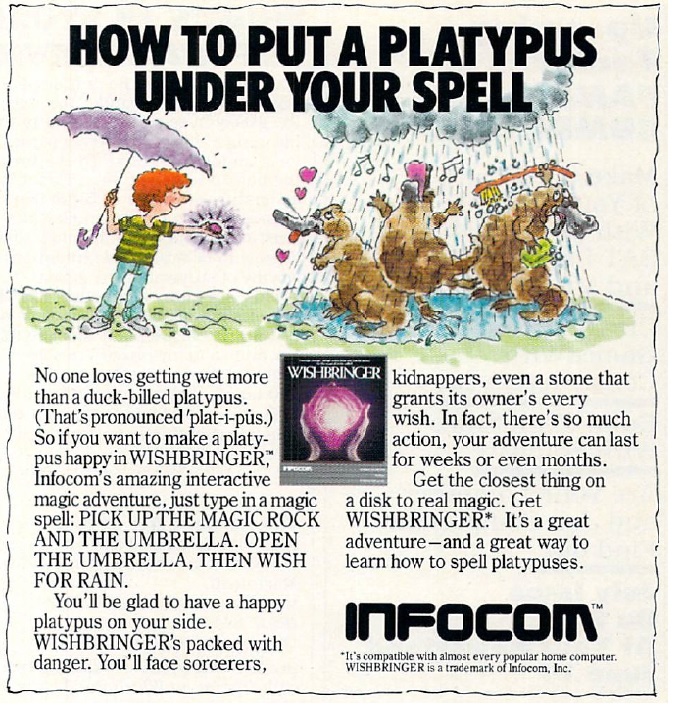 Infocom's "brain" advert, scanned in as a full-sized image (1638x1095), in PNG format. Magazine advert for Beyond Zork. Infocom's marketing brochure comparing Cornerstone to a number of other databases, scanned in as JPEG-format images by Bill Hicks. The "Crazy Dimwit" 1988 sales brochure from Infocom's marketing company, Triton, scanned in as JPEG-format images by Bill Hicks. Magazine advert for The Hitchhiker's Guide to the Galaxy. Magazine advert for Ballyhoo, Leather Goddesses of Phobos, Trinity, and Moonmist. 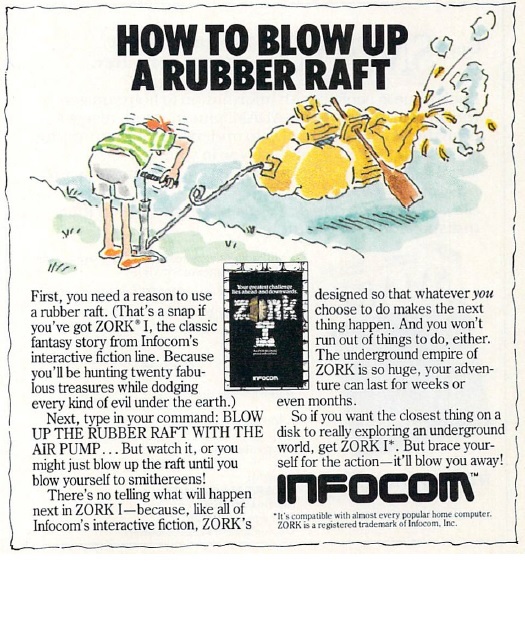 Magazine advert for Zork 1. The famous "Our Circuits, Ourselves" catalog supplied with early Infocom games, transcribed into HTML format by Allen Garvin. Passport To The United Products of Infocom, a catalog supplied with later Infocom games, scanned in and transcribed by Matthias Oborski. Scanned in as full size images in JPEG format. Passport To The United Products of Infocom, a catalog supplied with later Infocom games, scanned in and transcribed by Matthias Oborski. Scanned in as full size images in JPEG format with heavy compression (lower quality). 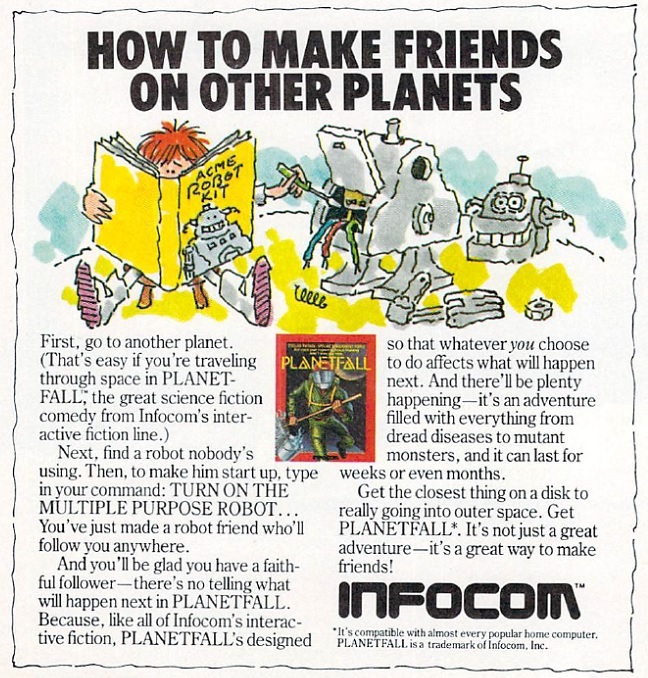 Famous Infocom magazine advert, circa 1983.